We will help you learn how to set a new password - whether you have the current password or forgot it! You know the drill! Log into the account with the registered email and password. Once on the Account Management page, select the [EDIT] link in the top right corner, above the WP account details. Enter the current WP account password, then enter and repeat the new password. Please be sure that the password is only something that you would know, is remembered/secured safely, and is a strong password type. Forgot the password? Recover It! 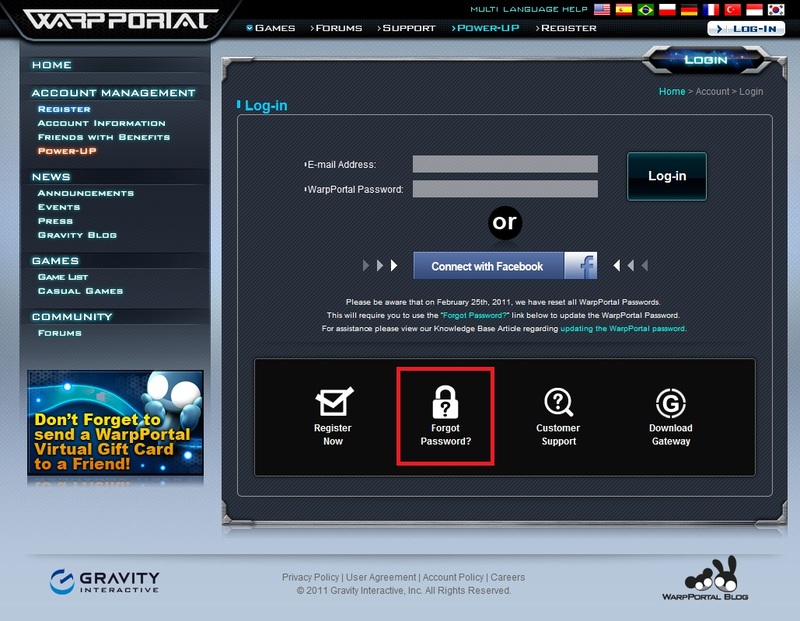 If you cannot remember the WP account's password, please follow these steps! 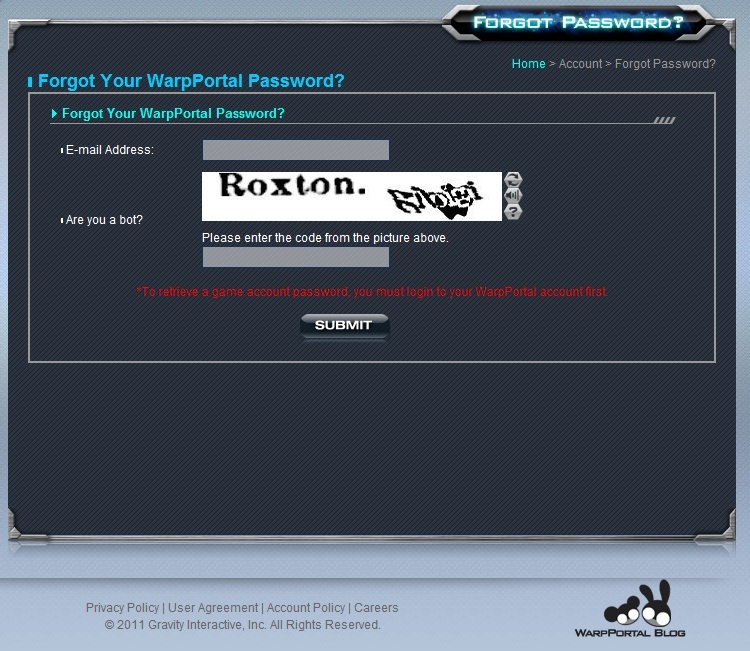 Go to the WarpPortal site and click on the Log-in button as if you were going to log into the WP account. Please be sure that the information you enter matches the information you used when originally registering the account. It's for this reason that we highly recommend keeping a record of the info you used when registering, keeping this information safe and secure, and not sharing this information with anyone else! Entering incorrect information will result in the request being denied and you may have to contact Support for further assistance. Once the form is filled out correctly, an email should be sent to the email registered to the WP account. Follow the link in that email & you'll be prompted to create a new password. If you are still experiencing trouble with the WP account password, please contact Support for more assistance!